Soft Baby Steps Yarn is a 100% Acrylic worsted weight #4 yarn, it is available in a total of 21 colors with a variety of solids and prints. 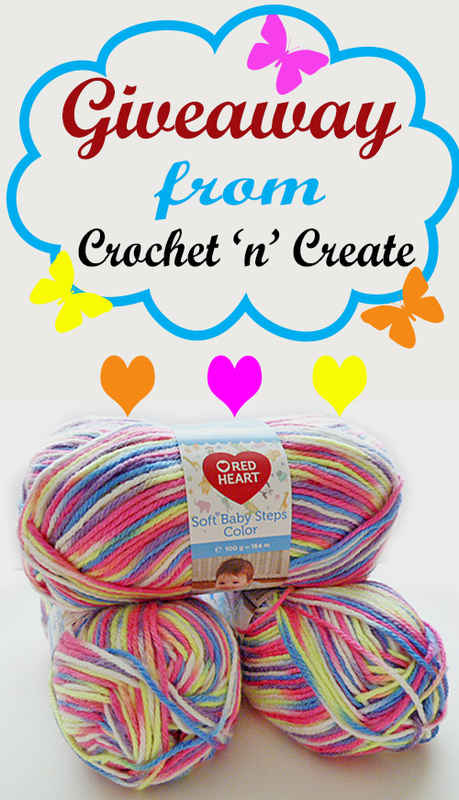 Each ball of Soft Baby Steps Yarn in this giveaway has approximately 100 grams and has 164 meters or 179 yards. The giveaway is open to everyone so if you would like to win these 3 balls of Soft Baby Steps Yarn enter with the Rafflecopter form below, One winner will be chosen at random from the entries submitted and the winner will receive 3 balls soft baby steps. Good luck to you all. If you are not lucky enough to win the soft baby steps yarn giveaway and would like to buy your own colors of the yarn, you can get it direct from Redheart.com.